Christiana's son John Langman married Gladys Amy Moss at St James Church, Hatcham New Cross on the seventh of June 1941. One of the witnesses shown on the above certificate was his sister Louisa How. The certificate shows that the couple were living at 274 New Cross Road Deptford. 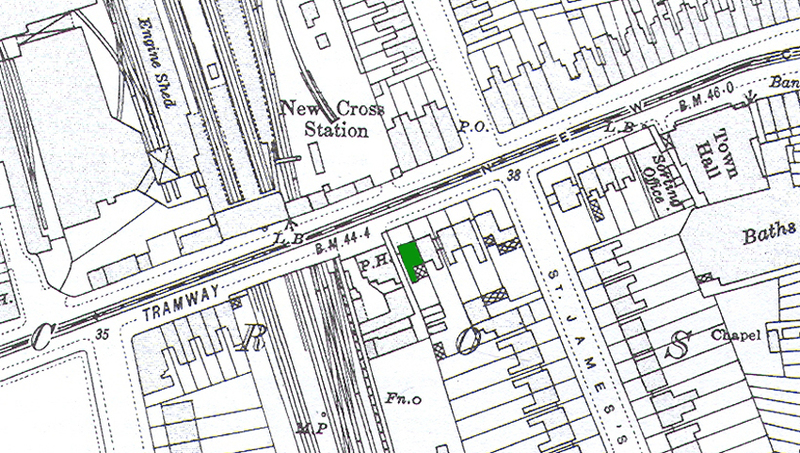 The map below dates from 1914. we have coloured green number 274 which is next door to the public house The Rose Inn (originally called The Rose and Crown) which is still at 272 New Cross Road.